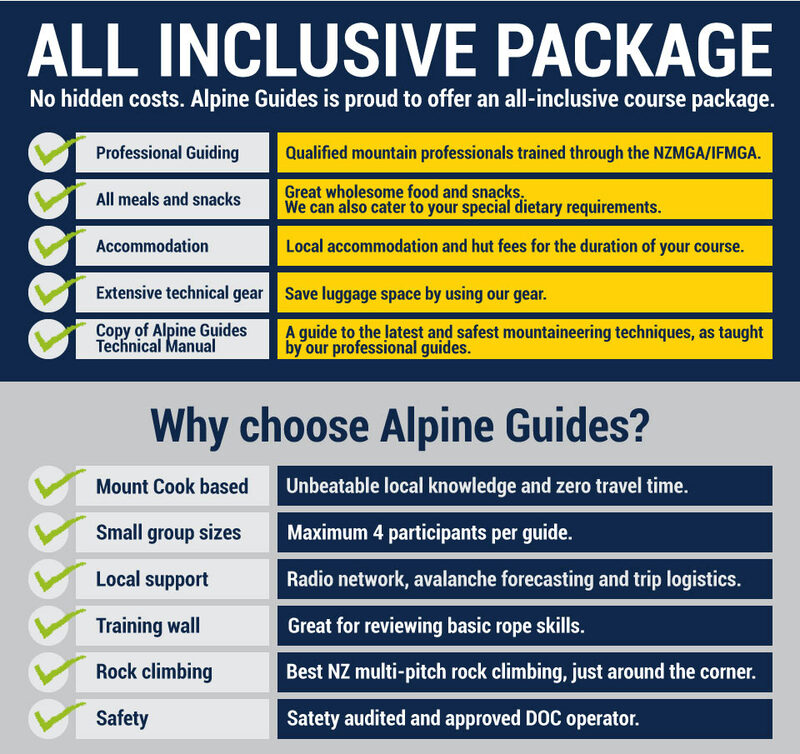 The MEC is Alpine Guides' beginner-level mountaineering course; an introduction to mountain climbing - based in Mt Cook National Park New Zealand. You will learn the basics of mountain and snow craft, and how to camp/bivouac in an alpine environment. If your imagination has been captured by high mountain places, the MEC is the perfect starting point. No prior knowledge of rope systems is required. You need a high level of aerobic fitness for pack carrying, so a background in hiking/tramping is crucial. The MEC runs through October to December. At this time of year snow is still easily attainable on foot. Later in summer, conditions may be dryer. Earlier than October there may be too much snow in the mountains for easy and safe travel on foot. If booking from late December, please see the Core Mountain Skills (CMS) course. Our 5-day introduction to summer mountaineering.